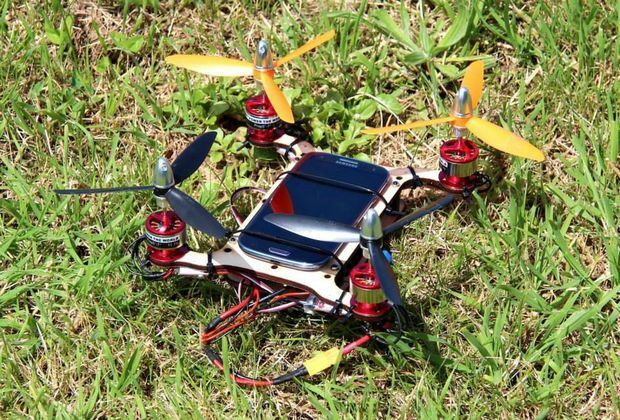 Flone is a drone – an unmanned aerial vehicle – that uses a smartphone as an extension of a flight controller. The Flone team in Spain believes more Flones should be produced around the world. Therefore, they are entering it for a Fab Lab Connect “Fab Replication Grant” which awards US$1,000 for project owners and production support for the new Fab Labs chosen to replicate their projects. There will be up to 30 grants awarded. One requirement is there must be a prototype of the project – Flone has developed more than 20 Flones that have been built and are flying to date. Another stipulation is the project must be useful or valuable – Flone explores novel ways to “occupy” public space, in particular the air. They have developed an app for flying Flone without the traditional Radio Control equipment. Old smartphones are recycled this way. Project owners who Enter on Fab Lab Connect and fill out the Application Form for a Grant should enter as much information as available at the time, in order to get in before the March 31 deadline. 1) A working prototype of the Project. 2) Substantial physical components (not just circuit boards). 3) Prototype replicable in a standard Fab Lab. 4) Full documentation of the Project in our Fab Replication project space. 5) Bill of Materials (BOM) required for replication. Cannot exceed $1,200. 6) Contact Info for suppliers of materials. 7) Estimate of the amount of time required to replicate the project. 8) Virtual workshops will be through online sessions. 9) Estimated number of days and online support that will be needed for an average Fabber. 11) Will supply mentoring and support for replication through completion of the Project. There’s plenty of help to complete the application process successfully! Fab Lab Connect will contact project owners to inquire about plans to fulfill other requirements or to supply additional documentation needed. Most important is to start the qualification process by March 31, 2015. Email Fab Lab Connect with any questions.